Tote it all in this colorful cooler! 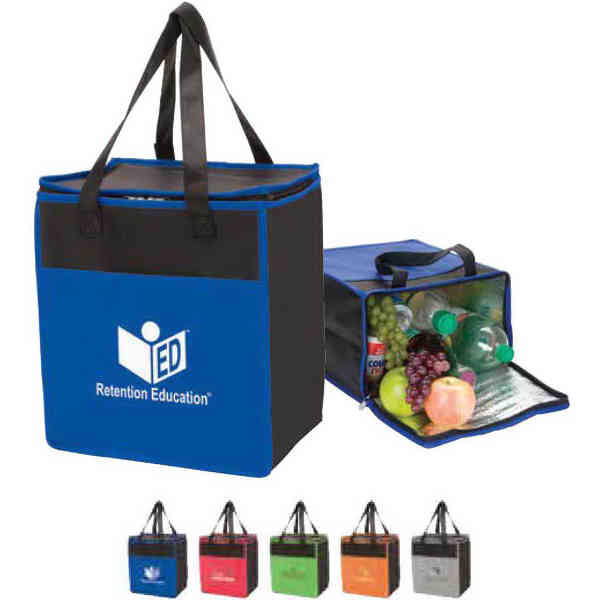 Measuring 12 1/2" x 13 3/4" x 8", this cooler is made of 100% non-woven, soft-textured polypropylene material and holds up to 16 cans. Features include a bold color front pocket accent with matching color all-over piping, black handles, a zippered main compartment with foil lining for insulation, a large front pocket and 8" gusset. Size: 12 1/2 " x 13 3/4 " x 8 "